The University of Florida College of Dentistry’s Comprehensive Training Program in Oral Biology received a William J. Gies Awards for Vision, Innovation and Achievement (The Gies Awards) during the American Dental Education Association Annual Meeting in Orlando, Florida, on March 19. The Gies Awards, named after dental education pioneer William J. Gies, Ph.D., debuted in 2008 and honor individuals and organizations that exemplify the highest standards in oral health and dental education, research and leadership. Dentsply Sirona Inc. was the premier sponsor of the awards. The Comprehensive Training Program, or CTP, was founded in 1990 to train the next generation of outstanding researchers, academics and leaders. 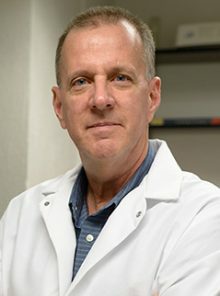 The field of oral biology blends many scientific disciplines in unique ways, with the goal of developing new and effective approaches to manage, cure or prevent diseases and developmental disorders. The program is highly integrated into the college’s research and education enterprise, as well as that of the UF Academic Health Center and the entire university. “We could not be more proud that this program has been recognized for academic vision by the ADEAGies Foundation. For 28 years, many individuals in this college have believed in, supported and fostered the growth of future leaders in academic research through the CPT and have truly made a difference in discoveries that have been made, and more to come,” said A. Isabel Garcia, D.D.S., M.P.H., dean of the college. 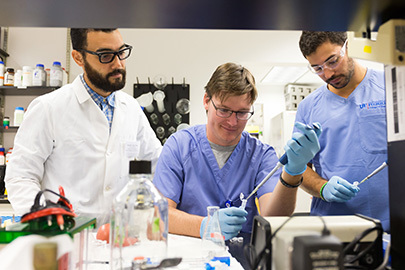 Supporting about 14 fellowships per year, the CTP in Oral Biology is the largest NIH research training award at UF. Since 2005, over 45 individuals have earned Ph.D. degrees and department faculty have trained over 50 postdoctoral fellows. In the program director’s laboratory alone, of the 12 post-doctoral fellows completing their training prior to 2008, all remain in science, 11 hold academic positions, six are in tenure-accruing positions, and six have secured independent funding from the NIH.